The day of the sign off from the ship is probably the most joyous, adrenaline fueled, hectic as well as emotional for each and every sailor. The days leading up to sign off consists of sleepless nights, relentless packing and a constant state of euphoria! After all, only a seaman can understand what it is to be going home after a long and tedious stint at sea. However, in the process, seafarers tend to ignore the essential things that are imperative to the signing off. Documents, money and other such aspects become secondary in the rush to get home. Not to forget, the hectic workload at the port of sign off until one’s reliever is onboard makes that day all the more intense. The two most important documents for any seafarer – passport and CDC, ought to be checked thoroughly when receiving from the master. Checking their physical conditions (for any damage) is necessary to avoid any complications at the airport. The stamp indicating the sea service must be checked in the CDC. A seaman must never forget that without these two booklets, it is impossible to conduct any personal or professional work pertaining to one’s sea career. Other documents that have been handed over to the master at the time of joining, such as the yellow fever vaccination certificate, STCW certificates etc. must be checked for and received. As is with the Passport and the CDC, thesedocuments also form the pillar of a seafarer’s essential paperwork, and therefore must be tended to. The travel tickets must be checked for accuracy. Check the travel itinerary, including boarding, departure and arrival timings, seating details and all aspects of the travel. Tally your name on the ticket with that on your passport and double check if it is spelt exactly like it shows on your passport. Ensure that you write down your company’s agent’s number for any questions/help. Any paperwork with regard to your exit visa and immigration process must be checked very thoroughly. Remember that you’re signing off in an alien country wherein you must have all your documents in order to prevent any scope of unnecessary interrogation. This aspect is very important from one’s career point of view. Sea service letter and testimonial spanning your time of service for the ongoing contract should be taken from the Master. Check the letter for the appropriate signatures and stamps wherever required. Check if the dates, COC number and statement of conduct and sobriety are duly filled and accurate. In the haste during sign off, a lot of people forget to check such details; hence it is best to get this sorted out one day prior to the sign off. Everyone wants to get their hands on the most important thing in while signing off- money! Any balance that is due/cash advance that has been asked for must be counted and received (along with the pay slip). Needless to say, a little money is always handy at the airport to buy all those things from the duty Free and spend a little of those hard earned dollars on some good food! Cross checking with the pay slip must be done to ensure that all transactions are clear and any duly payable amount has been cleared. At times, the master may hand over a package to be delivered to the company. In that case, personal judgment must be applied. If taken, it becomes your responsibility to hand it over unscathed and in proper condition. In that case, make sure the package that you take is checked for any tampering in order that you’re not blamed afterwards for unseemly wear and tear. Onboard, it becomes very clear on a day-to-day basis as to how important responsibility is when delegated to. Often, a crew member may ask you to deliver a package or an envelope to their family and/or friends. Again, personal discretion is of utmost importance here with regard to trustworthiness. Explain to the person (politely, of course) that there’s always a chance that one could get interrogated for carrying something that doesn’t belong to them. So keeping that in mind, (if you still feel obligated to deliver it) open it and check the contents thoroughly. This does not mean disrespecting the person by reading his personal letter but what it does mean is going through the contents in general looking out for any contraband and other illegal substances. To ensure that you don’t have to flip through all your papers in case any authority (airport, customs etc.) asks for a certain document, keep everything handy and ready in your hand baggage. Keep photocopies of all your documents because you never know when the necessity to have a copy arises. 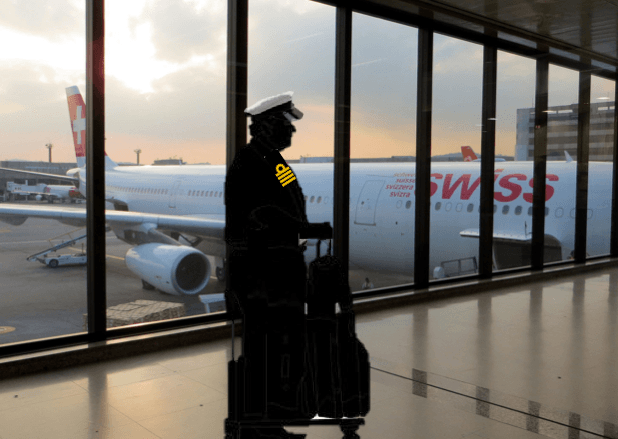 Keep all your documents in your hand baggage; this is a common practice among all seafarers because there have been instances (very less probability) that the main luggage has been lost in transit. It might be paranoid thinking, but in case your certificates are in your main luggage and it gets lost, you’ll know how much of a pain (and how time consuming) it’ll get to obtain the originals all over again. Better safe than sorry! Check your baggage weight onboard itself. The galley department has a weighing scale almost always, so make sure that your baggage does not exceed the permissible amount (its generally 40 kilos for foreign travel, with the maximum on one bag capped at 23 kilos). However, every airline has its own policy, so remember to ask the agent for the permissible baggage limit. Need more traveling tips to ensure your safety? Read our ebook – A Guide To Travel Safety For Seafarers. In all like-ability, a seafarer signs off at a country he is not a citizen of. In that case, know the local laws and customs and respect them. For example, Singaporean authorities are very strict with respect to pirated CDs (Your immigration document generally contains a warning against the carriage of these objects). Ensure that you do are not carrying any of them. Some nations have a limit on the amount of cash you can carry. Once again, ask the agent for any such information that may of importance to your repatriation. All the above points have been aimed at safeguarding one’s own interest. This point is to emphasize on the need to ensure that your reliever is not left in the dark with respect to his duties. Prepare the Handing Over Notes well in advance. For obvious reasons, there will be no time for last moment explanations to the reliever regarding his responsibilities and duties. So, prepare a comprehensive and informative document to facilitate a smooth transition and to cancel out any unnecessary confusion. It is a very important responsibility of every officer to make the on signer feel at ease with his duties. Acting selfish and engrossed in the sign off process is obvious, but not at the cost of jeopardizing the safety of the ship and its personnel. Take time out and let the on signer clear any looming doubts that may exist regarding the ship or his duties. Take him around and show him what lockers he is in charge of, point out the maintenance that needs to be carried out and acquaint him with the ways of the master and the other personnel onboard. You have lived in the cabin the way you’ve wanted to. And there is no doubt that it was a comfortable little abode of your own; your very own place of Zen after a day’s hard work. So why not leave it like that for the next person. Although it is the job of the Steward to arrange the cabins up to a mark, there is not much an effort required to clear out the trash a day before signing off, arranging the bed a little, and maintaining a general sense of order in the cabin. Also, make sure you have checked the cabin throughly to avoid forgetting any belongings. This aspect is not really important to any duty or responsibility. However, it is indeed important to the perception of the on signer of you. A clean cabin that is being handed over automatically calls for a little respect which makes the transition all the more easier. It doesn’t really require much effort to clean up one’s living space for the next person and in return it makes the other person a lot better. A dump of a room, however, gives out a bad vibe to a person that is about to spend the next few months of his life in that little area. To conclude, the day of the sign off is the happiest day in a seafarer’s life and it should be kept that way. As long all your identifications, documentations and other things are in order, you can be assured that your sign off will be free of any worry. So adhere to common process and rejoice in the anticipation of reuniting with your friends and family. After all, you deserve to be back home and enjoy your hard earned money in the things and with the people that you love.